With is sleek looks and fastback body; the RS7 could get by on looks alone. 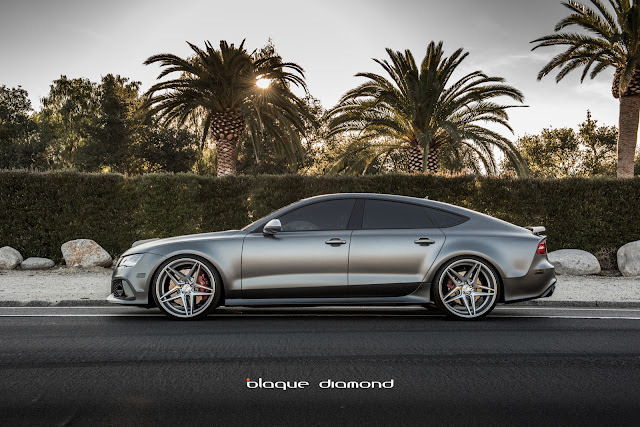 This spectacular piece of German engineering packs a twin turbo, four-liter engine that expels 605 hp, performance tuned eight speed automatic, all wheel drive and a lowered suspension. 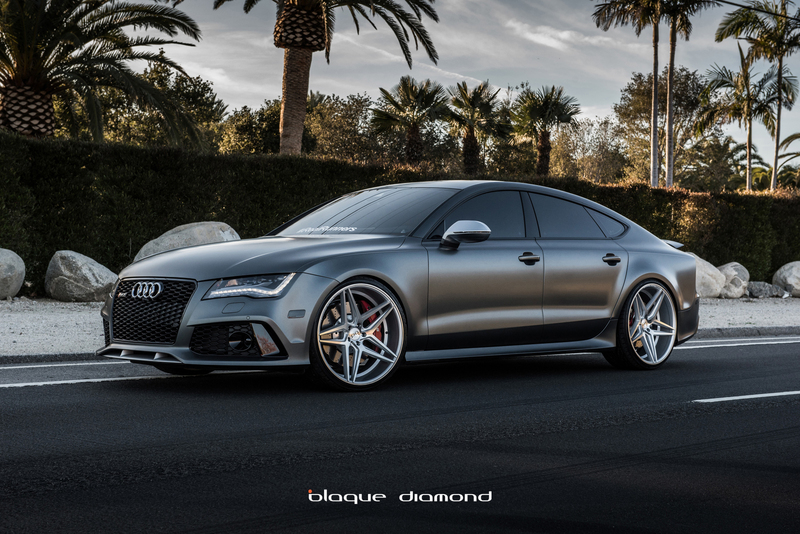 The RS7 comes stock with 20 inch wheels. A car of this caliber deserves a wheel to match. 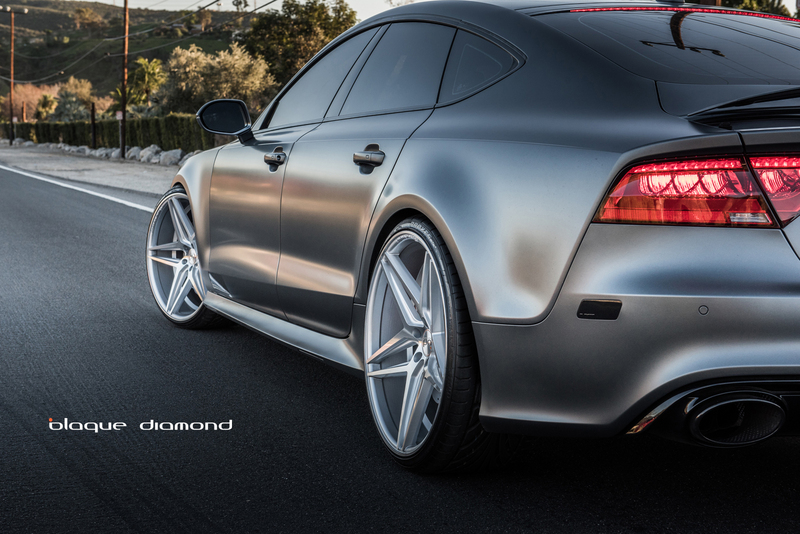 We fitted a set of 22 inch BD-8’s in silver polished to it. The lower center of gravity combined with the larger rims, gives the RS7 a menacing stance that is intimidating to the other cars it faces. Carving through the canyons the Audi is light and the steering is super responsive. Pushing the limit down the straight it is light and effortless and it grips to the pavement like a true champion. The BD-8 wheels are one of the most sort after additions to our collection. They feature a traditional split, 5 spoke design with a slight twist. They are available in silver polish and two tone black diamond in 20 and 22 inch staggered sizes. Custom coloring is also available upon request.